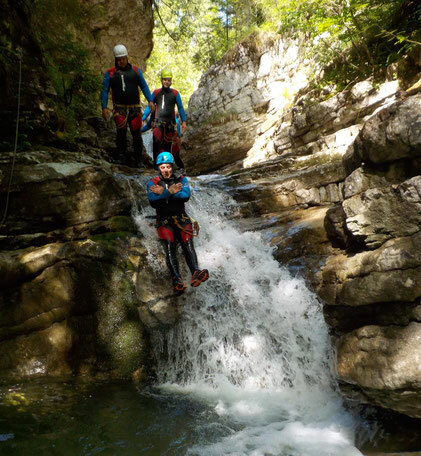 Canyoning means exploring a river. 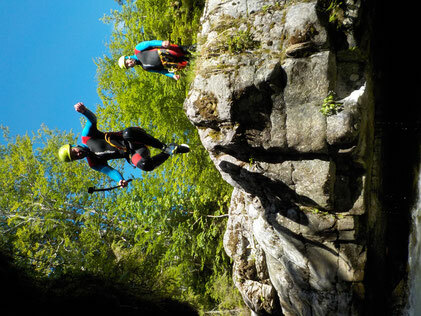 Equipped with wetsuite, harness and helmet we do abseiling, jumping into pools, sliding along slippery rock and walking. From beginner to expert, choose your tour! For beginners and even children at the age of 8 and older. About 30 minutes approach on easy road, 1,5 hous in the gorge, 10 minutes back to the car. Fun for everybody! 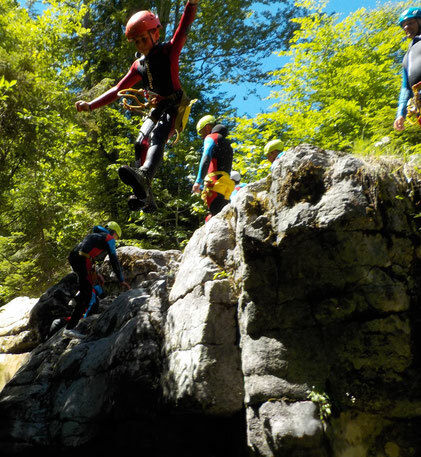 Sporty beginners can also start with this tour! A little longer approach, more water, a narrower gorge are the characteristics of this tour. Even kids from the age of 12 and older can participate. Duration of the tour: 9am to 13pm, meetingpoint according to your accomodation. For very sporty persons even possible to start with. 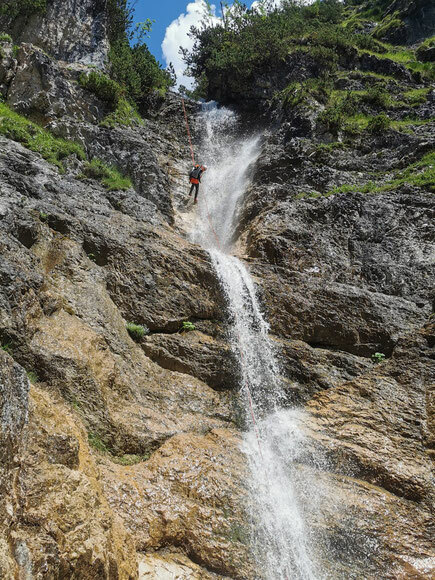 A long approach (1h), 3 hours in the gorge, abseils of 25m, narrow, dark sections are the characteristics of this tour. Duration of the tour: 9am to 15pm, meetingpoint according to your accomodation. You cannot start with this tour! A long approach (2h), abseiling up to 60m, climbing, exposed sections are the charactersitics of this tour. A brilliant experience if you have the ability!